Press App takes social networking to another level. It is an original approach to social media and recruitment for athletes and coaches. Profiles of athletes can be viewed by fans from around the world. The founder of Press App observed that it was very uncommon for athletes to post their athletic portfolio on social media platforms. This made it tough for the athletes to get noticed or for coaches from colleges to recruit these athletes. Create your profile and share your video highlights from the entire range of the sports that you play. 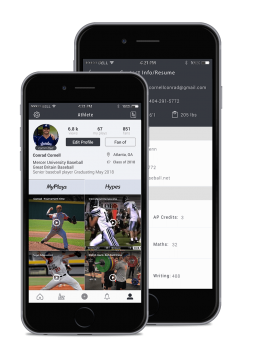 Press App is a platform which allows the athletes to create a profile with an easy access to their entire athletic portfolio. It is a platform where all the athletes can build a fan base of people around the world who are interested in seeing what they achieve. 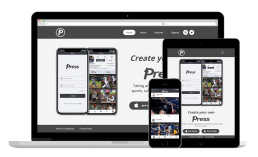 Press is a unique social networking sports platform where athletes apart from building a profile with an easy access and having a fan base, can also get recruited by coaches. 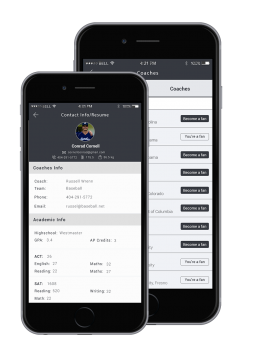 The Press app will also act as a recruiting tool for coaches from various colleges who will be able to view the profiles of these athletes, view their progress and also recruit them.